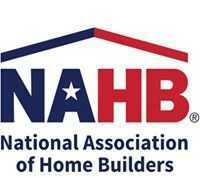 WASHINGTON, D.C. – July 22, 2013 – (RealEstateRama) — The National Low Income Housing Coalition (NLIHC) reports that the full Senate may consider the Fiscal Year 2014 appropriations bill for HUD as early as Tuesday, July 23. Given spending cuts proposed by the House, many housing advocacy groups, including NLIHC, are urging constituents to contact their Senators to make sure a spending bill is considered and passed. The full Senate may consider the Transportation, Housing and Urban Development, and Related Agencies (THUD) bill, S.1243, as early as Tuesday, July 23. The bill will need significant support to get considered on the floor and then to pass the Senate. The Senate bill would provide stronger funding for HUD programs than would the House THUD bill, even though the Senate bill still needs improvement. Please contact your Senators today and urge them to support the THUD bill. Call your Senators at 202-224-3121, or visit NLIHC’s website and enter your zip code in the Contact Congress section on the lower right hand side to find contact information. Click here to view NLIHC’s budget chart. After you take action please email us at "> to let us know how your call went.